One Faith, Many Paths: An Interview with…My Mom! Ever since I started this blog, I’ve been interviewing people on a monthly basis that I met in real life or online. I’m about to hit 150 posts as of next week, so I thought why not do something special and interview my adoptive mother! She agreed, and these are the questions I asked her. This is a thank you to all my readers. 1. What evidence would you give for God’s existence? How else do you explain how the Earth, moon, and stars exist? 2. How has your Christian worship helped you in raising me? In raising you, I have had to pray looking for answers to help me. 3. What is your favorite biblical passage? It’s really hard to pick just one. Author rocklobsterjwtPosted on July 25, 2015 Categories Many Paths, One Faith, specialsLeave a comment on One Faith, Many Paths: An Interview with…My Mom! and Christopher Lloyd as Marty McFly and Dr. Emmit Brown. They are stepping out of the DeLorean and checking their watches. The tagline reads: Getting back was only the beginning. Earlier this year, I posted an article with fun facts about the original Back to the Future. I figured I should do the same with the rest of the trilogy. So, let’s talk about Back to the Future Part II. The fall of laserdiscs (The DeLorean lands in an alley with laserdiscs in trash bags). Video phone conversations, like on Skype and FaceTime. Pepsi Max (it debuted in 2007). Still waiting on Pepsi Perfect. TVs with more than one screen (We call it “Picture in Picture”). Nike has announced self-tying shoes, just like the ones Marty wears in the movie. 2. Crispin Glover sued Robert Zemeckis, resulting in his being replaced. 4. Elijah Wood made his acting debut in the movie. He’s one of the kids watching Marty play Wild Gunman. 6. At the school dance, Biff spiked the punch. George is shown drinking the punch prior to the scene where he punches Biff. Could George have gotten “liquid courage”? 7. The date on the USA Today newspaper that Doc Brown shows Marty reads 10/22. This is Christopher Lloyd’s birthday. 9. Marty’s shirt he wears in 2015 depicts cowboys and a train. Foreshadowing the next movie, perhaps? 10. Charles Fleischer, the original voice for Roger Rabbit (he was later replaced by Jessi Harnell in the shorts that were made after Who Framed Roger Rabbit? ), plays the old man who gives Marty another “Save the Clock Tower” flyer. In the antique shop, you can actually see a plush Roger Rabbit in the window. 11. Claudia Wells, who played Jennifer in the first movie, was replaced by Elizabeth Shue in parts 2 and 3. This is because Wells quit acting because her mother was diagnosed with cancer and she wanted to take care of her. 12. While the scene where Michael J. Fox is playing 2015 Marty, Marty Jr, and Marlene (Marty’s future daughter) was being filmed, an earthquake occurred. Amazingly, the props were unaffected! 13. When 2015 Marty is playing his guitar after he is fired, he is playing the opening riff from the Huey Lewis and the News song “The Power of Love”, which was in the first movie. 14. On the marquee of the theatre in 2015 Hill Valley is the movie Jaws 19. It has the tagline “This time, it’s really, REALLY Personal!”, parodying the tagline for Jaws 2, “This time, it’s personal.”. It is advertised as being directed by Max Spielberg, Steven Spielberg’s son. Max was actually born in 1985, when the first movie came out, oddly enough. 15. One of the screens in Café 80’s shows Taxi, the sitcom where Christopher Lloyd played Reverend Jim. Another screen shows Family Ties, the sitcom where Michael J. Fox played Alex P. Keaton. When I was eight years old, I got my first radio and some albums to go with it. 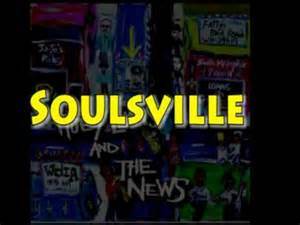 One of the ones I treasured most was Sports by Huey Lewis & the News. They became one of the first bands I ever got into, and one of many I still enjoy today. Since this month is celebrating my 40th birthday, I decided to devote my Jason’s Jukebox post to this band. I’m disappointed in what time has done to Huey Lewis & the News. These days, the only song they seem to be best known for is “The Power of Love”, one of their two contributions to the Back to the Future trilogy. This post is to show you that there is so much more they made. To rate each album, I’m using–what else–DeLoreans! This is a pretty good debut. It feels as though the band was certain that they had a handle on exactly how they wanted to sound. Everyone sounds polished and there’s very little indication that this is a debut. They almost don’t sound green. This was the first album most people paid attention to, causing “Do You Believe in Love” to become their first top 10 hit. It feels as if they’re still a little new to the game, but not in a bad way. There’s slightly more polish here than the debut. Is this still just as good as it was in 1983? Yes! 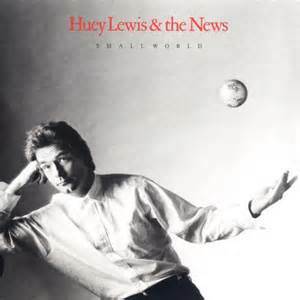 The music and lyrics make this album every bit as definitive of Huey Lewis and the News as it was when I first listened to it. Johnny’s awesome sax solo in “Heart of Rock n Roll” is the best part of the song. 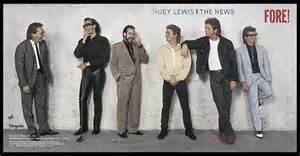 “Bad is Bad is straight-up cool blues, and is one of my all-time favorite Huey Lewis and the News tunes. “I Want a New Drug” also has great horn sections. 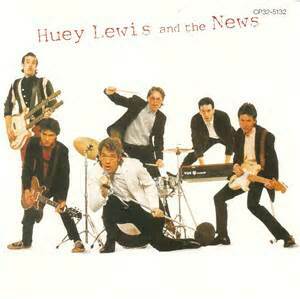 This is Huey Lewis and the News at their peak. 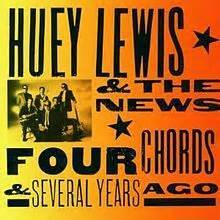 Trivia Huey Lewis sued Ray Parker, jr. when he recorded “Ghostbusters” because he felt the song stole the bass line from “Want a New Drug”. They settled out of court. 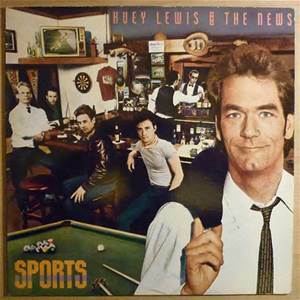 Huey Lewis & the News continued to ride the wave they caught with Sports. This album is a great follow-up. “Hip to Be Square” is a great commentary against staying popular in lieu of lying to yourself. “I Know What I Like” was my jam back in the day. “Jacob’s Ladder”, written by Bruce Hornsby, is a perfect fit for the band. 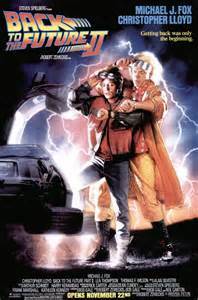 Trivia: The Japanese release included both songs recorded for the Back to the Future soundtrack. By the time Small World was released, it seemed the band was beginning to lose steam. The 80’s were waning, and it seemed less certain that they would survive past the 90’s. The title track, divided in 2 parts, feels like it should’ve been just one song, and almost feels like filler rather than a hit. This is sadly one of their worst. The 90’s was not accepting most bands that celebrated the 80’s. The world had moved on, and this album was vastly ignored. They weren’t missing much. This is by far their worst album, and I hate saying that. This was a welcome surprise. 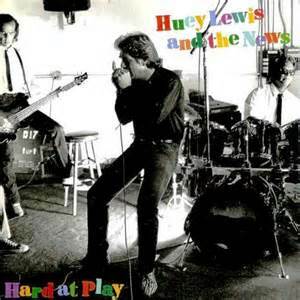 Instead of recording new material, Huey Lewis & the News covered 50’s standards. It’s just too bad the world stopped listening. 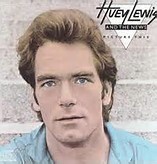 When this album flopped, Huey Lewis & the News played it smart and stayed out of the 90’s, only releasing compilations of their hits and live material in the meantime. Trivia:This was Mario Cipollina’s final album as bassist. The second cover album, this is a real shame. 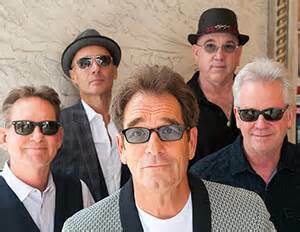 Huey Lewis felt that the world had given up on them, and they no longer wanted to record new material. It’s a great album, don’t get me wrong, but it feels as if you’re listening to a band trying to capture that last bit of magic. While Huey Lewis & the News may not be doing anything new these days, I still feel they’re worth a listen, especially if you want to know just why the 80’s were so good. Next time, in September, I’ll have two Jason’s Jukebox posts. First will be a look at one of my dad’s favorite bands, Creedence Clearwater Revival, followed by a new feature–an annual article called “10 Artists That Should’ve Been in The Rock Hall By Now”. 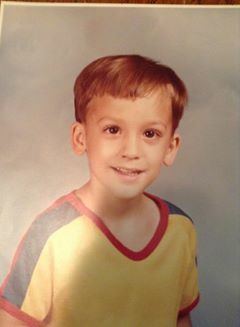 Me at 5 years old. Wasn’t I cute? On July 8, 2015, I will turn 40 years old! I’ve decided to celebrate this by sharing some important events from my life that shaped me into the person I am today. Some of these will be guesses, but others will be definite. 1975: 7/8–I am born in Oxnord, CA. 1978(? )–My parents move to Lafayette, LA and my dad begins an apprenticeship prior to becoming a bricklayer. He meets my future stepmother. 1979-80–My dad divorces my birth mother and marries the woman who becomes my stepmother. My stepmother also begins teaching me to play the piano, a pastime I still enjoy. 1980–My parents take me to see my first theatrical movie, “The Empire Strikes Back, which begins my passion with science fiction. 1981–I think I got my first comic book in this year, an issue of Walt Disney’s Comics and Stories. I begin watching Saturday morning cartoons. Spider-man and His Amazing Friends and Superfriends introduce me to both Marvel and DC’s superheroes. 1982–My parents take me to see Star Trek II: The Wrath of Khan, which sparks my interest in Star Trek. 1983–I get my first radio and some cassettes to go with it. My parents move to Grand Isle LA. I start third grade and begin Special Ed. My parents take me to Disneyworld. 1984–My uncle Karl injures his foot, so my dad has to help him run his marina. My mom takes me with them when they go. During one such visit, I turn on the TV and discover Tom Baker as the Fourth Doctor in Doctor Who. Voltron airs, eventually beginning my interest in anime, although I was unaware of its Japanese origin. 1987–My family moves to Tennessee and I begin junior high. 1988–A friend of Dad’s gives us a puppy which we name Bandit. I buy Cosmic Thing, my first B-52’s album. Years later, I would tell people they are my favorite band after having bought every album they recorded prior to this release. Aspie Catholic Blog at WordPress.com.